Are these rinse free and can be used on children's toys and dummies etc? If not, do you have any rinse free ones? These wipes contain 70% alcohol, so I would not suggest using them for children's toys/dummies. Please try 24130 - Antibacterial Surface Wipes. These are rinse free and suitable for cleaning toys/ for use in nurseries etc. Hope this helps! 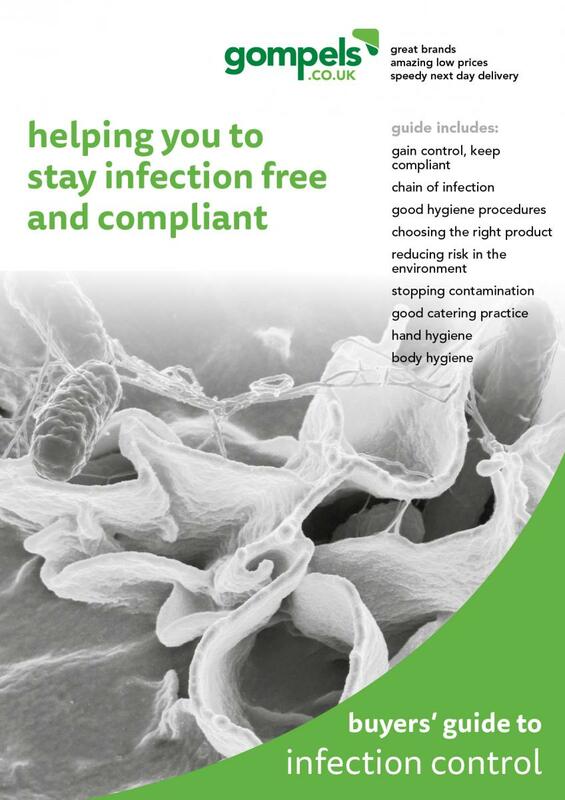 Taking our expert formula into a wipe form, these Gompels Bactericidal Surface Wipes are a large and economic choice for high traffic businesses. Developed to effectively clean and protect all hard surfaces, they get to work in under 30 seconds to provide powerful antibacterial protection in your cross contamination procedure. The pack of surface wipes are delivered in a resealable tub with pop down lid and perforated opening which allows individual wipes to be removed with ease. Place this handy box in any room or keep aside for your cleaning regime to ensure the most effective and fast working cleansing. 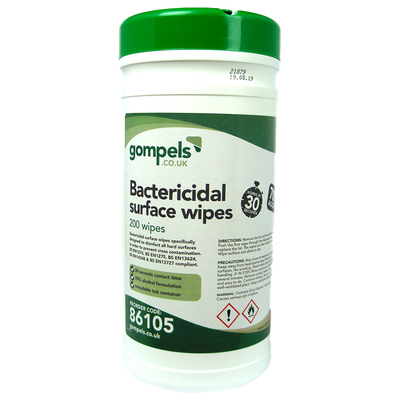 Our Wipes range here at Gompels consists of everything from our Gompels Antibacterial Wipes x 60 through to Probe Wipes. For more stubborn marks, our Gompels Antibacterial Surface Spray 750ml x 6 makes for a highly economic choice.